I realize many people read Twitterings for the travel information. So I thought I would provide a monthly roundup in the form of links to the articles, along with a map of the approximate location. Chedi Yak in Nakhon Si Thammarat City. Wat Suan Mokkhaphalaram in Chaiya, Surat Thani Province. Wat Tham Singkorn, near Kirirat Nikom, Surat Thani Province. 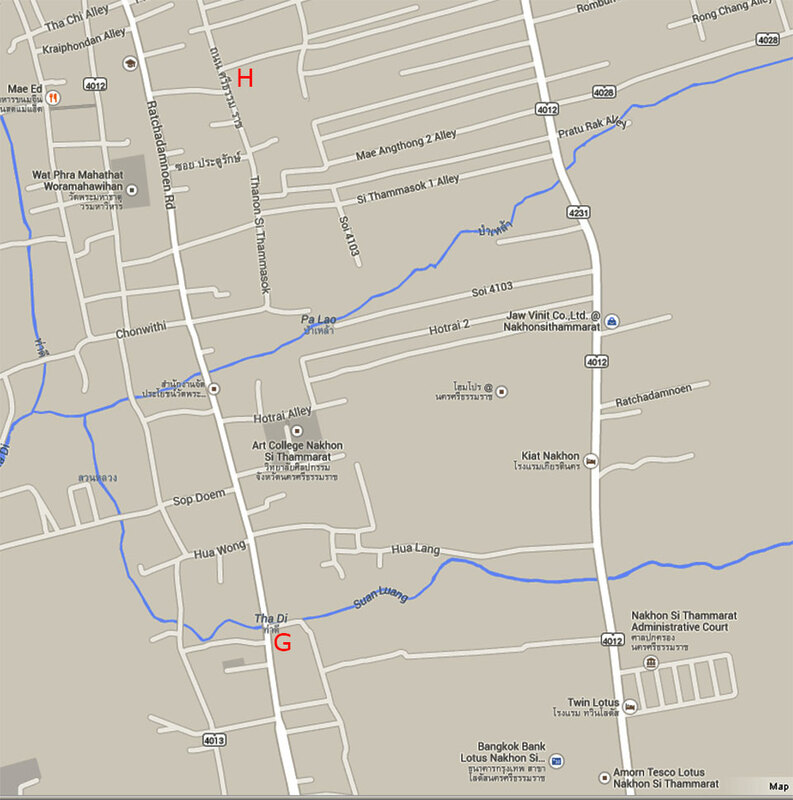 ‘C’ on map 1. Views around Kirirat Nikom, Surat Thani Province. 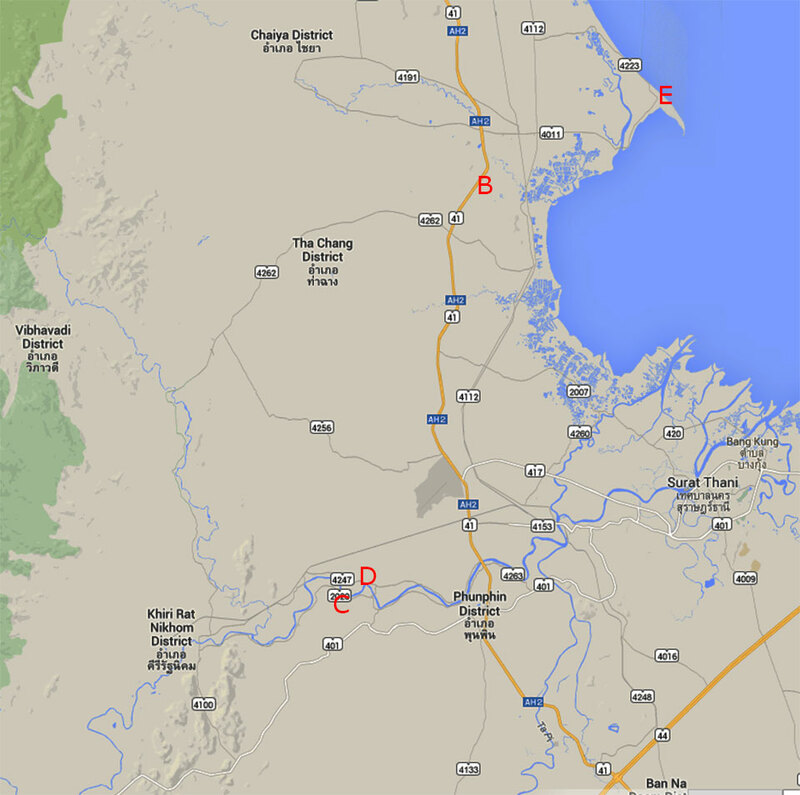 Beaches to the North of Surat Thani City. Hills inland from Sichon, Nakhon Si Thammarat Province. Nielloware Exhibition in Nakhon Si Thammarat City. National Museum in Nakhon Si Thammarat City. The Shadow Puppet House in Nakhon Si Thammarat City.